Following the good feel surrounding the ceasefire between the Karen and Burma government, villagers forced relocated 10 years ago returned in hope to their old village, only to find it occupied by a palm oil company. 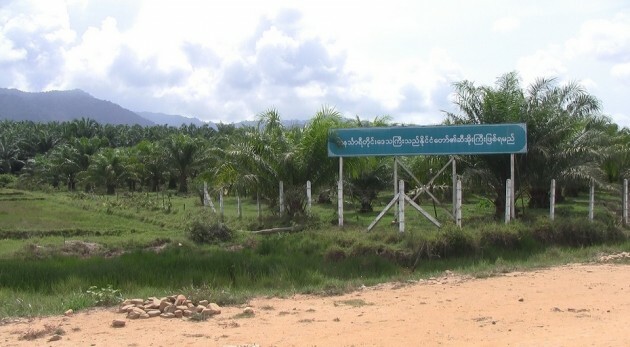 Following their forced relocation by Burma Army, Karen villagers from the east of Myeik Town, in southern Burma began to return to their old village, only to find there was no place for them to resettle on their land as it had been taken over by companies. Saw Myo Naing, a Karen National Union (KNU) township officer from Ler Mu Lah, spoke to Karen News about the villagers’ situation. Saw Myo Naing said that the villagers were forced out of their village and into a Burma Army designated relocation site. The Karen villages of Tu Byaw, Nga Ya Aye and Ba May villages were relocated by Burma Army more than a decade ago. The villagers were relocated next to a car-road between Myaik-Kawthaung. Saw Myo Naing said the ceasefire had given hope to relocated villagers that they can return to their old land. Saw Myo Naing estimates that Tu Byaw village has as many as 80 families, Nga Ya Aye 40 and Ba Aye 60.